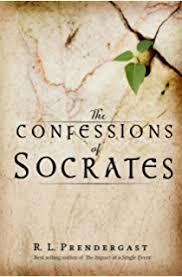 The Socratic Confession of Ignorance developed from the idea of dialogue that Socrates engaged in during his life. Philosophy courses study how brilliantly Socrates debated. Get help from the writers at Paper Masters in understanding the goals of the Socratic Confession of Ignorance, a key tool in Socrates's teachings. The Socratic Confession of Ignorance developed from the idea of dialogue that Socrates engaged in during his life. By engaging others in conversation about the definition of a specific word in one’s area of expertise, Socrates would refute the respondent’s wisdom with three different methods. These methods of rebuttal would then provoke the respondent to three different forms of action. The third action of last resort is what Socrates termed the confession of ignorance. The Socratic Confession of Ignorance came about when the respondent realized that he did not really know the answer to Socrates’ question. This confession was usually involuntary, after much resistance to the pain that admitting ignorance brings. To prove to those who proclaimed great wisdom that they were not as wise as they thought. By setting up the individual as such Socrates was teaching them that the nature of true wisdom is in understanding that you are wise when you can comprehend the limitations of your wisdom. The Socratic Confession of Ignorance undermines the respondent’s confidence and finally awakens the realization that he does not know everything. Once one truly believes he/she does not know everything, one is on the path to beginning the understanding of true wisdom and the purpose of Socrates’ exercise in dialogue. The essential point of Socrates’ philosophy is understanding that wisdom comes from realizing the limited knowledge one possesses. By questioning things rather than informing, brings about a higher level of knowledge cultivated from seeking new answers. Applying this philosophy to life can be beneficial in the way we learn in society. The method of dialogue that Socrates used to present his philosophy allows exploration and discoveries beyond the surface. By arousing curiosity through the questioning of various aspects of society, the questioner can awaken new knowledge that until now lay dormant. The philosophy of Socrates can be applied to any area of life from schooling to the workplace. Soliciting answers rather than pressuring for them provides a more productive atmosphere, which will generate a more positive energy in society. The most important element of seeking true wisdom however, is the virtue that comes with this knowledge. Socrates’ philosophy supports a better society by way of perfecting the soul through wisdom. Through Socrates’ dialogue processes, society is provoked to make discoveries at its own pace rather than by dictation. These points of Socrates’ philosophy maintain a major relevancy to life by suggesting wiser methods of social interaction. Paper Masters writes custom research papers on Socratic Confession of Ignorance, which was developed from the idea of a dialogue that Socrates engaged in during his life.